This does depend on a lot of factors, both personal and also what’s hot and what’s not to visit at the moment. There are 196 countries out there to choose from, and deciding which ones to visit can be a daunting task. But we are here to help you out in choosing the best backpacking destinations for you. You won’t have any issues finding a nice bed to stay in. Transport options are frequent and easy to navigate. There is a well established tourism network. You will meet plenty of like minded people to share your experiences with. Some of the best places to backpack for ease of travel include: South East Asia, Europe, The United Kingdom, America, Australia & New Zealand. Even though these are fantastic options for a first time backpacker, you may not feel confident to head out and navigate yourself around a foreign country. That’s perfectly fine! 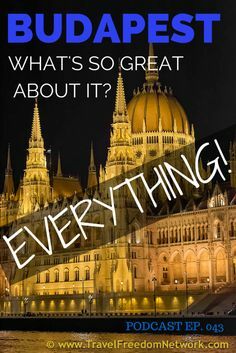 If you are wanting to ease yourself into international travel, we highly recommend joining up with a tour group. There are some fantastic companies out there offering a selection of trips options that you can choose from. You will be with a group of people where you can make friends and enjoy the experiences together. Both are fantastic options for a first time backpacker. Remember there is no right or wrong way to travel. As long as you have an amazing time – that’s all that matters. Depending on where you live and what passport you hold, can also determine what are the best backpacking destinations for you. Not all passports are made equal, and the places you choose for your backpacking trip can come down to how difficult or expensive it is to get a visa to a particular country. Make sure you do some research on the visa requirements of every country you plan to visit and check how easy or difficult it will be for you to obtain, well before you fork out any money on airfares, hostels etc. Is there a visa on arrival arrangement, where you can just turn up and be approved entry? 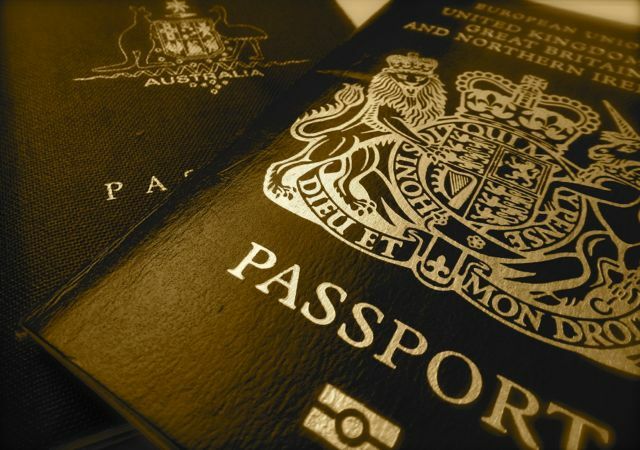 Or do you need to apply in advance and give evidence of your intended itinerary while in that country? There is nothing worse than booking non refundable flights to go backpacking in say China, only to have your visa application declined. 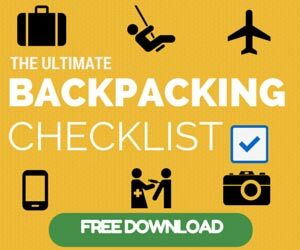 Backpacking Costs – how much can you afford? 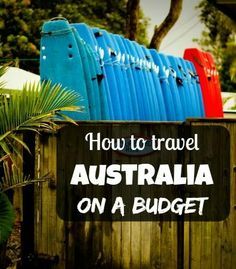 Finances will play a big role in choosing your backpacking destinations. There are some destinations where your dollar (or euro/pound etc) will go much further than in other destinations. Remember to think about this in advance and figure out how much you want to spend on your backpacking trip. Also consider what level of comfort you require. Some people are happy sleeping in the cheapest possible dorm bed, or couchsurfing on someone’s floor for free – others need a little more comfort in their lives. These days we have seen the emergence of the ‘flash packer’, who are people that want to travel, get a real authentic local experience, but still have a very nice clean hostel room to go back to at night. Whatever you choose is up to you – and your wallet. If you need an insight as to what things cost in each country this map should give you an idea of what to expect things to cost. Usually those with the desire to travel, have always had one (or many) places that they have always wanted to visit. Is it seeing the Eiffel Tower in Paris or watching the sunrise over Angkor Wat in Cambodia? Perhaps you’ve always wanted to surf a wave in Australia or visit Disney Land in the United States. 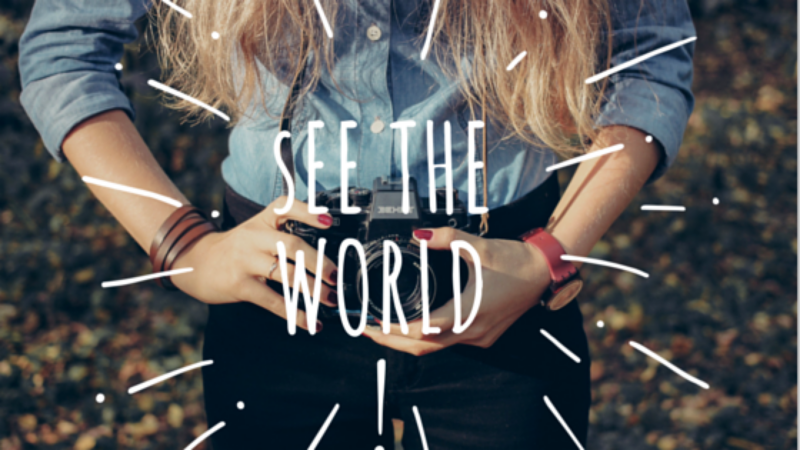 There are so many countries to choose from – how do you pick which one to visit first? Well, that is entirely up to you, and the other factors we have mentioned in this post. But remember that backpacking is about the overall experience, not just a string of attractions. 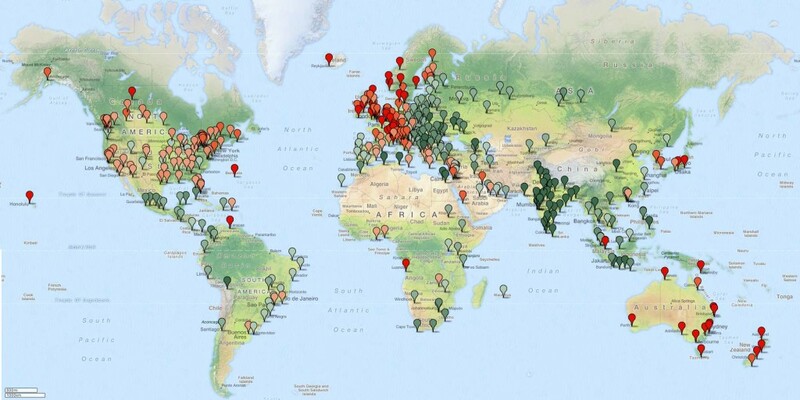 Which destination is a place you would like to get a deeper insight to? Meet the locals? Try the food? All of these experiences combined add up to a memorable backpacking experience. Have no idea where you want to go? Choose by images. Get online and look up google images for all of the destinations you want to visit. And not just the individual countries. Look up the cities and towns to see what they offer as a tourist attraction. 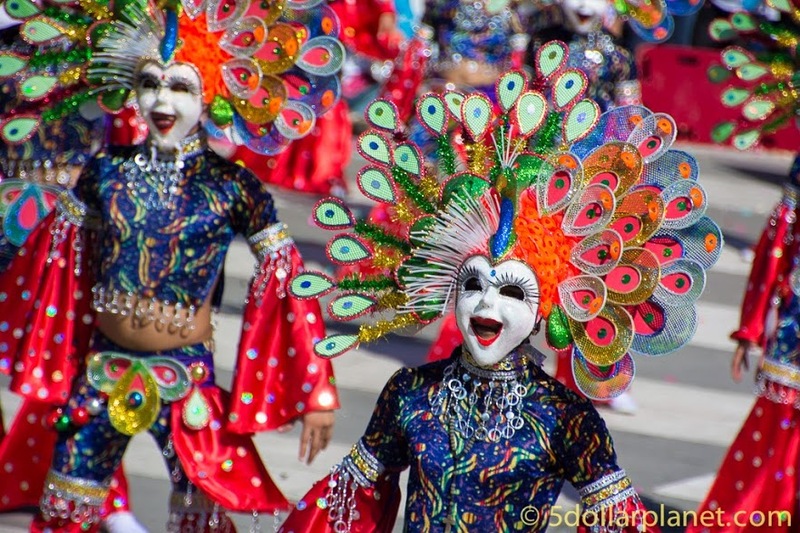 You will almost certainly something that you never knew existed, like the Yungang Grottoes in Datong China, or the Masskara festival in Bacolod in the Philippines. Do some research to find out what is out there. Don’t just go to the standard tourist attractions because that’s the thing to do in x country. Find out what else is on offer and be inspired by the images you find online. So you’re a little more adventurous, and not really interested in joining the thousands of other tourists waiting to get into see the Mona Lisa at the Lourve. That’s fine too. Your backpacking experience is whatever you want it to be. 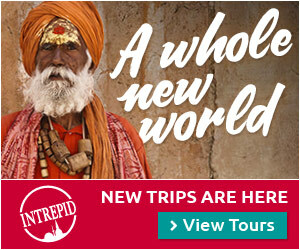 Read travel blogs listen to travel podcasts and discover what new and upcoming destinations are on their radars. Head off the beaten path and have an experience that none of your friends have ever had. Choose someplace new to visit – but make sure it’s safe to visit. Check with the embassy in your home country if you are unsure. 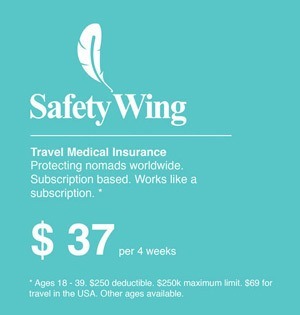 And remember, if your travel insurance won’t cover you to travel there – you might want to reconsider going. If your looking for a good company to go through we use World Nomads – they’ve always been great to deal with. How long can you get off work or school to go backpacking? This is a big influence in choosing what destination to travel to. Only have a week off university and want to spend as much time as possible exploring? Then choosing a destination closer to home might be a good option, So you spend less time on an aeroplane and jet lagged on arrival, and more time having fun. You’ve taken a month off work to go on an extended backpacking trip? Then your options are a lot more flexible. Make a list of the 5 places you want to visit the most. 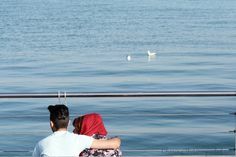 Are their neighbouring countries easy to visit on the same trip? Write them down. 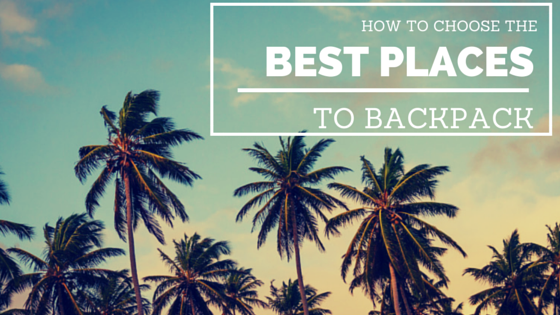 Once you have a shortlist, it’s time to move onto the next stage of planning your trip. interesting read as i have never once ever thought about backpacking, but i now know what it entails. great photos and suggestions. 😉 nice read. love your info graphics. Ease of travel is a huge factor Megsy. Gotta be able to get around seamlessly as a backpacker.